Lisa is the first voice you are likely to hear when calling Farrell & Perrault, and is the smiling face on our front desk. As our “intake expert,” Lisa gets the basic information from first time callers so that we have an understanding of the prospective client’s needs and how we can help. Clients appreciate her calm and professional manner. 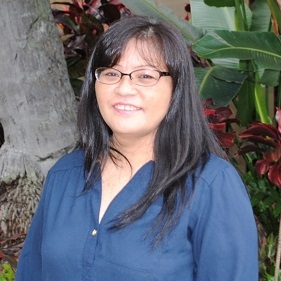 Lisa was born and raised in Pearl City, and is a graduate of Pearl City High. Before joining Farrell & Perrault, Lisa worked with numbers, handling data entry and pricing for Zippy’s Restaurants, and in other bookkeeping and back-office positions. Although this is her first foray into a law office, she finds family law interesting, and every day is a new adventure. An avid crafter, Lisa enjoys sewing, clay crafts, resin, miniature house building and stained glass. In her spare time, she loves spending time with her two teenage daughters, learning new things, exploring new places, and just goofing around.